ScotHot is Back: Bigger and better than before! ScotHot, Scotland’s leading trade event for the food, drink, hospitality and tourism industries, is returning to Glasgow in collaboration with Scottish Tourism Week. Taking place on March 15th and 16th 2017, at Glasgow’s SECC, it promises to be the sector’s trade event of the year, with exhibitor numbers already up on previous years. 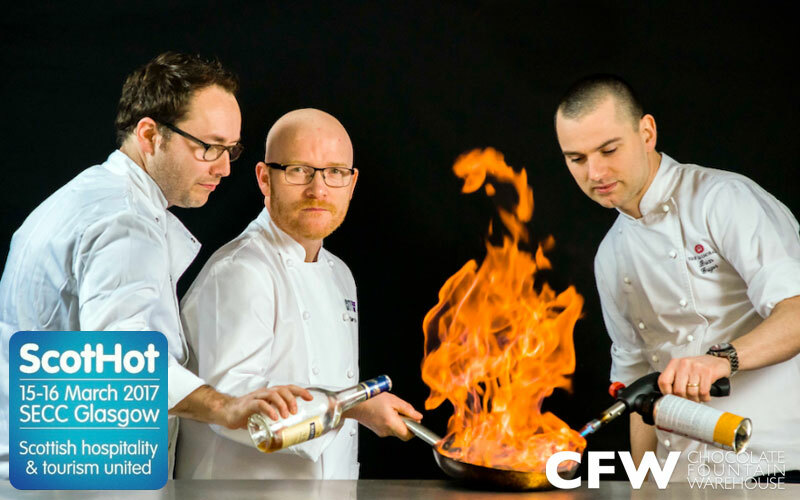 New features for 2017 include Staff Canteen Live, which will showcase the culinary skills of some of the UK’s leading chefs, and Liquid Academy Live which will host a number of inspiring speakers demonstrating innovation in Scotland’s drinks industry. The Scottish Culinary Championships, sponsored by Compass Group, is back for its 32nd year, highlighting the skills of Scotland’s next generation of top chefs. Scottish Chef of the Year and Scottish Junior Chef of the Year are just two of the accolades that will be awarded. The Spotlight Stage, sponsored by Scottish Tourism Alliance, will feature expert speakers from hospitality and tourism businesses, who will share their experiences and insight on some of the hot topics of the moment. ScotHot brings together suppliers of food and drink; catering equipment; décor and design; tableware and technology products with chefs and buyers from hotels, restaurants, bars, catering outlets and tourism destinations. With a heritage dating back over 40 years, ScotHot runs every two years and now takes place as part of the Scottish Tourism Week’s ‘Signature Events’ programme. This includes the Scottish Tourism Industry Conference; Scottish Tourism Week Dinner with a Difference and the ‘Oscars’ of the Scottish tourism industry, the Scottish Thistle Awards. CFW will be attending this year’s ScotHot and invite you to come along to their exhibition stand which is 4223 to view the latest innovative Catering Equipment products and sample some of their produce. CFW are attending this year’s ScotHot 2017 Event.